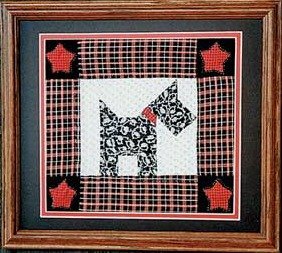 Christmas Stocking 8 X 8 "New"
This cute little scotty dog made with a black and white print on a white shirting fabric. The borders are plaid. It could be reversed if you have a Westie. This would make a nice conversation piece for your home. This kit is a Beginner level.